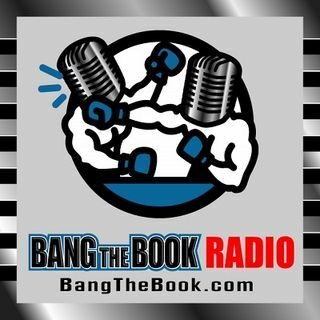 With the NFL Draft coming up on Thursday, we decided that it was a good time to do a special edition of BangTheBook Radio. Host Adam Burke was joined by Joe Everett of NFL Draft Bible and Brian Blessing of Sportsbook Radio and Vegas Hockey Hotline for a discussion of the various NFL betting props for the Draft and some thoughts on what the teams will do. Sam Darnold, Josh Allen, Josh Rosen, Lamar Jackson, Saquon Barkley, Baker Mayfield, and all of the other draftees have high expectations, ... See More first-round grades, and, most importantly for us, betting odds. Don't bet on the 2018 NFL Draft without hearing what we had to say first.